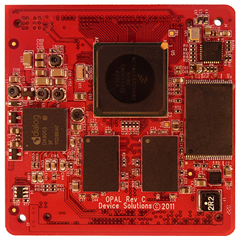 The Opal-5 i.MX53 CPU Module family packages together an NXP i.MX53 applications processor with flash, RAM, power management and networking functionality into a module that is easy to integrate into new embedded designs. Bottom side of the Opal-5 SoM showing the high-density connectors. 5 display interfaces with up to 2 active at any one time. 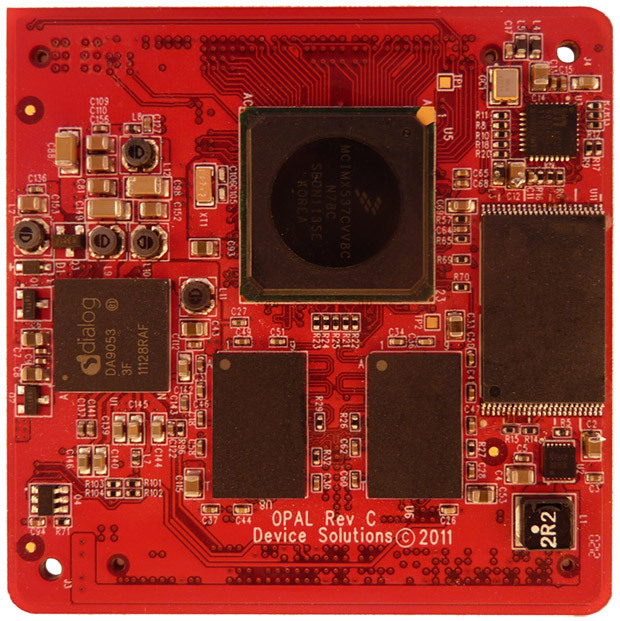 Opal-5 runs Linux, Android and Microsoft’s Windows Embedded Compact 7 Operating Systems. Linux is supported by TrygTech. Visit their site for details and downloads. 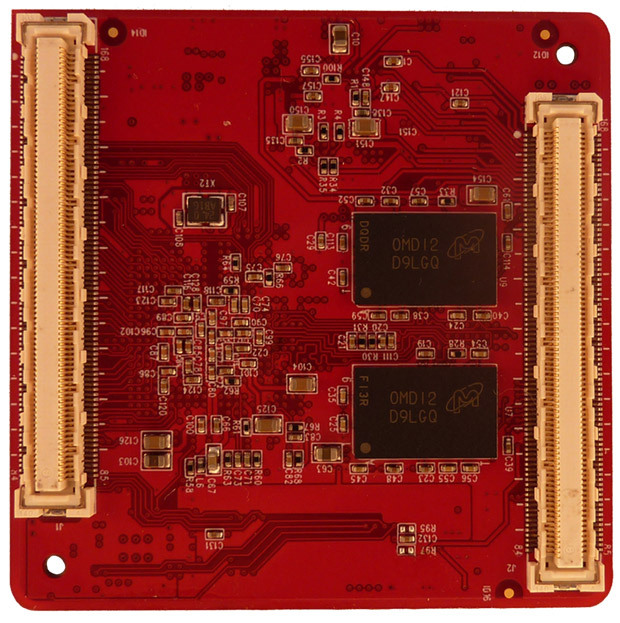 Opal-5 is supported by the GuruCE i.MX53 BSP.